80 F. high in the Twin Cities Sunday. That's the average high for August 16. 65 F. normal high for October 2. One Remarkable Week. The calendar on the wall insists that it's October. As far as the atmosphere is concerned it will feel like late August out there the next 3-4 days, afternoon temperatures running 15+ degrees above average. Not bad considering the sun is as high in the sky as it was in early March. 200 Day Flood. The flooding on Missouri River is nearing an endpoint as the flood warning that was in effect for the St. Joseph, MO area has expired. A river flood warning remains in effect for the Rulo, NE area through Sunday when the river is expected to fall below flood stage. Once all warnings have expired, this will mark the first time the lower portions of the Missouri River will be warning-free in nearly 200 days. (photo courtesy of the Des Moines Register). This Week: More Like Late August. The midweek 500 mb wind forecast (18,000 feet above the ground) shows an Omega Block, temporarily stalled storms over the west and New England/Canadian Maritimes, with a vast bubble of high pressure sandwiched in-between over the central USA. If you squint and use your imagination the upper level pattern looks vaguely similar to the Greek letter "omega". Or not. Exepct more 80s for the Twin Cities, Chicago, St. Louis and much of the nation's midsection. Map above is valid 1 pm on Wednesday. 4" snow on the ground at Snoeshoe Mountain Ski Resort, West Virginia Sunday morning. 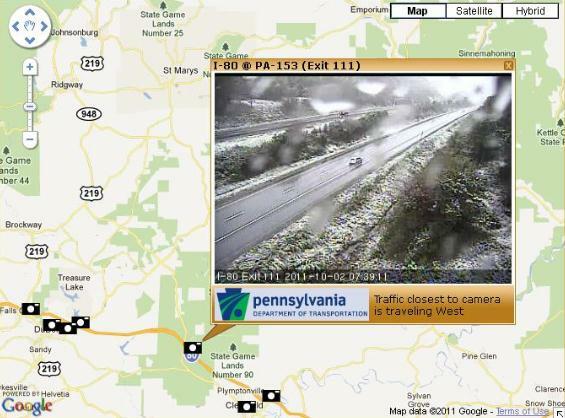 A tweet: Not something you see every year on October 2nd: KJST 1/4SM +SN (1/4 mile visibility in heavy snow at Johnstown PA; elevation 2284′)"
First Snowball Fight Of Winter? This YouTube video clip from Snowshoe Mountain (West Virginia) was taken Saturday afternoon, during moderate to heavy snow - coming about 2-3 weeks ahead of schedule. Foul East And West - Perfect Central USA. 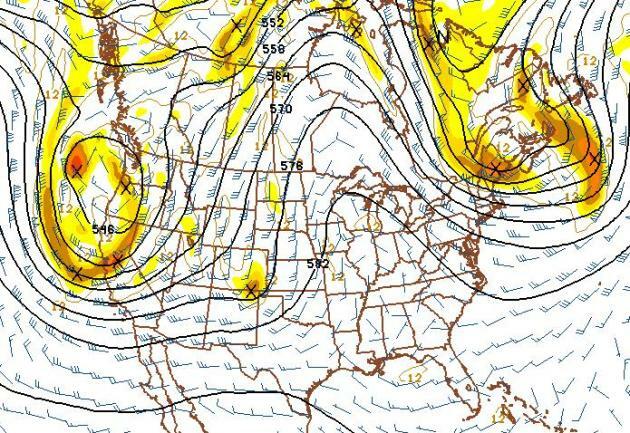 An "Omega Block" will create cold storms on either coast, heavy rain for New England, and a mix of rain and snow out west. A foot or more of snow is possible for the mountains of the Pacific Northwest and the Sierra Nevada range of California. 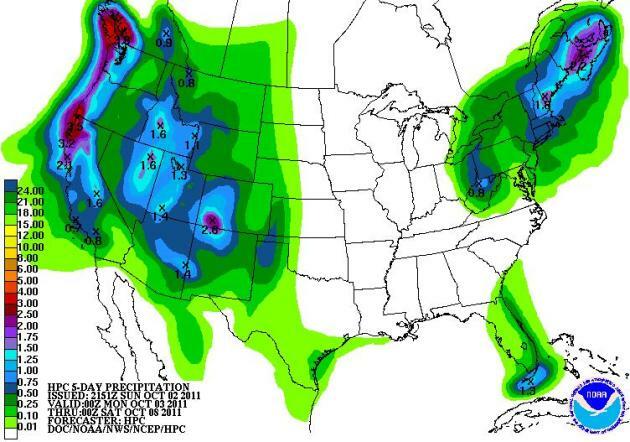 QPF map courtesy of NOAA. This Week: August Rerun. 70s and 80s during the first week of October? Not bad at all. One more opportunity to wear shorts and fiddle with your A/C. 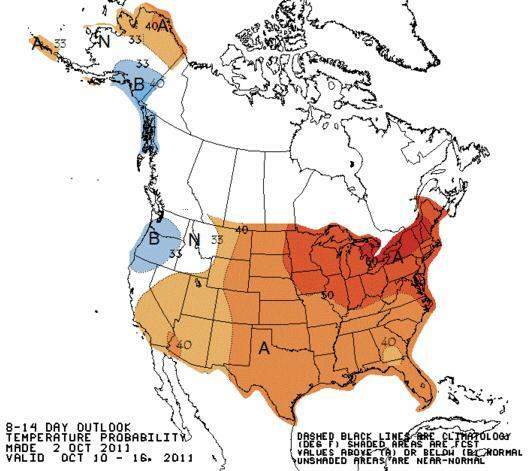 Forecast through October 12 courtesy of NOAA's CPC, the Climate Prediction Center. A Warming Trend. Prevailing jet stream winds will favor cool/stormy out west, with significantly warmer than average temperatures predicted for the Upper Midwest, Great Lakes and New England into mid October. 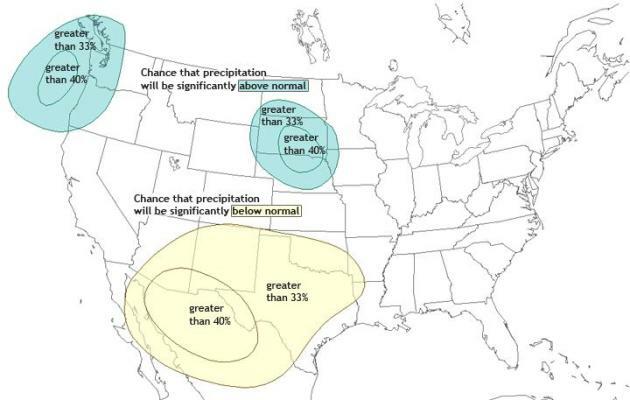 Fall 2011 Precipitation Outlook For U.S. Here is the latest from NOAA's ClimateWatch magazine: "After enduring months of drought and baking summer heat, residents of the Southwest and Southern Plains will hardly be excited about the fall 2011 temperature and precipitation outlooks. 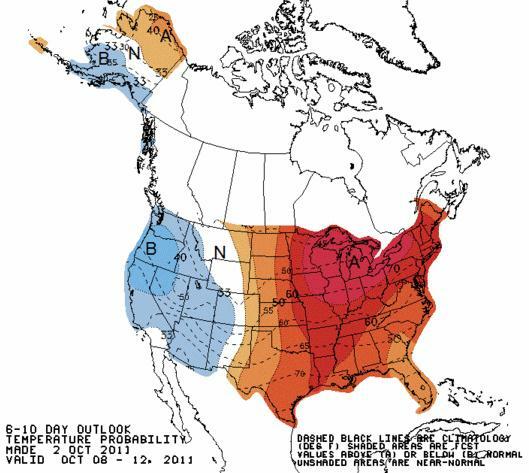 The precipitation outlook for September–November 2011 from NOAA’s Climate Prediction Center indicates an increased probability for significantly below normal precipitation across half of Arizona, all of New Mexico, and most of Texas. (“Significantly below normal” means “within the bottom third” of observed precipitation for an area in a particular season.) 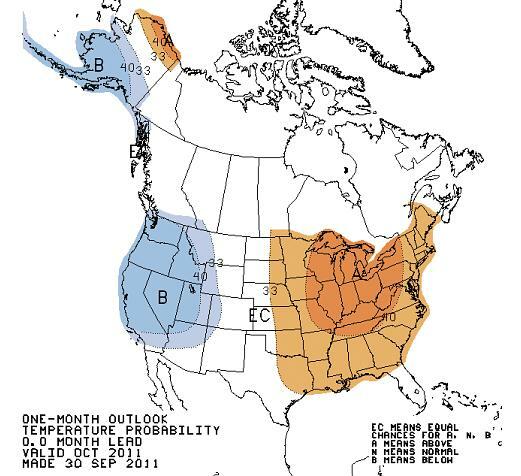 The map above shows NOAA’s precipitation outlook for September-November 2011. Blue-green shaded areas are places where precipitation is likely to be significantly above normal, while yellow areas are places likely to experience significantly below-normal precipitation. Moving from the outer edge of the shaded area to the interior, percentages indicate increasing probability of the predicted pattern." Drought Baking The Southern USA. Here's an overview of one of the worst droughts in U.S. history, courtesy of NOAA: "An intense drought has gripped the southern tier of the United States for several months, accompanied by destructive wildfires, low water supplies, and failed crops. Dry conditions emerged as early as October of last year and culminated in one of the driest winter and spring seasons in the observed record for the region. At the peak of this year’s drought in July, “exceptional” drought conditions were spread across nearly 12 percent of the U.S., from Arizona to Florida, reaching the highest recorded level of drought since the US Drought Monitor began reporting conditions 12 years ago. As of August 31, just over 11 percent of the contiguous United States was experiencing exceptional drought. 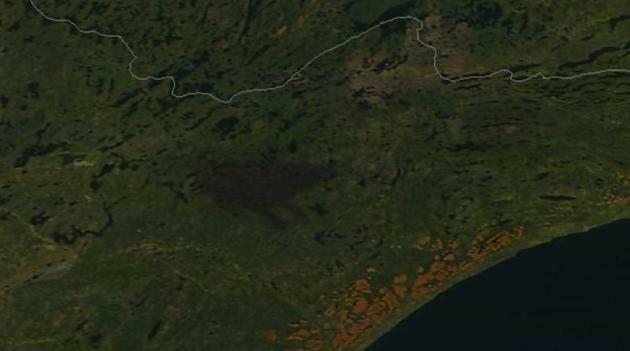 (Related image: July 2011 drought map.) Texas and Oklahoma have been particularly hard hit. According to John Nielsen-Gammon, Texas State Climatologist, the state is officially in the midst of its most severe one-year drought on record. Some areas in the extreme west, south and southeast areas of the state have seen some relief from recent rains, but other locations are so dry that it would take as much as 20 inches of rain in one month to bring conditions back to normal." Photo credit above: "Brazos River runs dry in Knox County, Texas, in summer 2011. By Earl Nottingham, © Texas Parks & Wildlife Department." Typhoon Nalgae. Here is a post from NASA's Earth Observatory on "Nalgae", before it hit the Philippines, the second typhoon strike there in less than 1 week: "Typhoon Nalgae, known in the Philippines as Quiel, was headed for the archipelago on September 30, 2011. Residents braced for winds and floods in the wake of Typhoon Nesat, which passed over the same region days earlier. The Moderate Resolution Imaging Spectroradiometer (MODIS) on NASA’s Terra satellite captured this natural-color image of Nalgae, just east of the Philippines, on September 30, 2011. On September 30, the U.S. Navy’s Joint Typhoon Warning Center reported that Nalgae had maximum sustained winds of 115 knots (210 kilometers per hour) and gusts up to 140 knots (260 kilometers per hour). 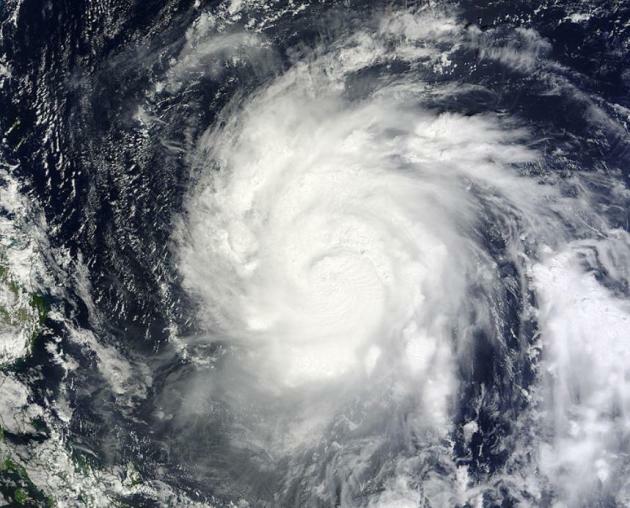 Located roughly 320 nautical miles (590 kilometers) northeast of Manila, the storm was moving west. On September 30, Agence France-Presse reported that Typhoon Nesat, which preceded Nalgae, had already killed 43 people and left 30 more missing, while forcing 160,000 residents into state-run evacuation camps. As Nalgae approached, The Manila Bulletin reported that authorities advised residents of low-lying and mountainous areas to watch out for potential floods and landslides." 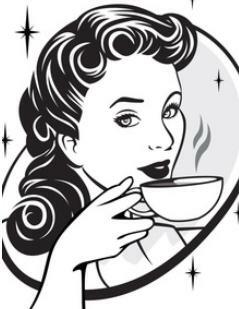 Caffeinated Women May Be Fighting Depression With Every Cup Of Coffee. I thought this was an interesting article from NPR: "For many of us, coffee is the first thought of the day. Just thinking about it gives us the buzz, the energy and the power to ask ourselves the next question, do I make it at home or shell out another $4 at the local Starbucks as I race to work? Well, you may decide to do both if you've seen new research that suggests women who drink more than one cup a day may decrease their risk of depression. The more coffee women drink, the greater we reduce our risk of depression, according to the study. And since one in five women are diagnosed with depression at some point in life, it may be worth contemplating that double shot of espresso." "Reinvention Man." O.K. For what it's worth I thought I'd share this article in Dockside Magazine, if nothing else than to encourage other middle-aged men and women who've had the career-rug pulled out from underneath them in recent years. The only predictable element of life? Change. 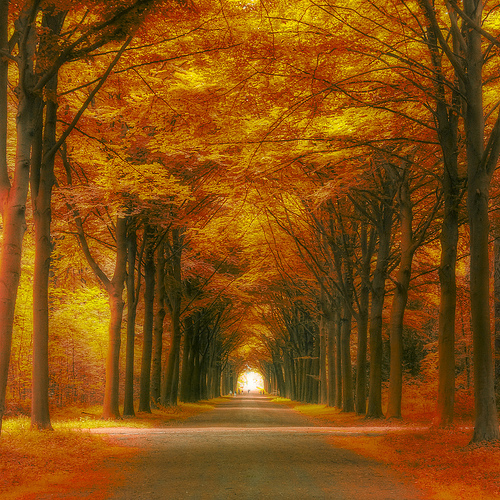 The current economic downturn is a threat, and an opportunity to reinvent your life: "On a recent spring evening, the sun was peeking out from the clouds as it descended over Lake Minnetonka. It was a beautiful, peaceful scene framed by a large picture window, and probably visible most evenings, at the Tonka Bay home of Paul Douglas and his wife, Laurie Kruhoeffer. As the sun continued setting that night, Douglas – whose real name is Doug Kruhoeffer – was doing what he often does at home: working on his laptop while sitting on the couch, aka his “home office.” “I get a lot done right here, and can do a lot of thinking,” he says. He needs to, as Douglas, as always, has a lot on his plate. Since being laid off by WCCO-TV for budgetary reasons in early 2008, he continues writing a daily weather column in the Star Tribune, speaking at numerous engagements, and running three companies. Additionally, Douglas has taught college courses on broadcast meteorology, lectured extensively on climate change, and wrote the 2004 book, Restless Skies, the Ultimate Weather Book." 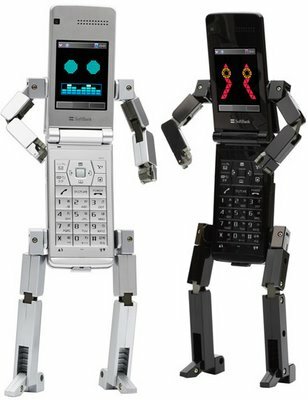 How Did The Robot Wind Up With My Job? Minnesota-born Thomas Friedman strikes again! Here's an excerpt of his latest Op Ed in the New York Times: "In the last decade, we have gone from a connected world (thanks to the end of the cold war, globalization and the Internet) to a hyperconnected world (thanks to those same forces expanding even faster). And it matters. The connected world was a challenge to blue-collar workers in the industrialized West. They had to compete with a bigger pool of cheap labor. The hyperconnected world is now a challenge to white-collar workers. They have to compete with a bigger pool of cheap geniuses — some of whom are people and some are now robots, microchips and software-guided machines. I wrote about the connected world in 2004, arguing that the world had gotten “flat.” When I made that argument, though, Facebook barely existed — and Twitter, cloud computing, iPhones, LinkedIn, iPads, the “applications” industry and Skype had either not been invented or were in their infancy. Now they are exploding, taking us from connected to hyperconnected. It is a huge inflection point masked by the Great Recession." (photo credit above here). So Cute It Makes Your Teeth Hurt. More details from NPR: "There is a bit of news to go along with this picture. 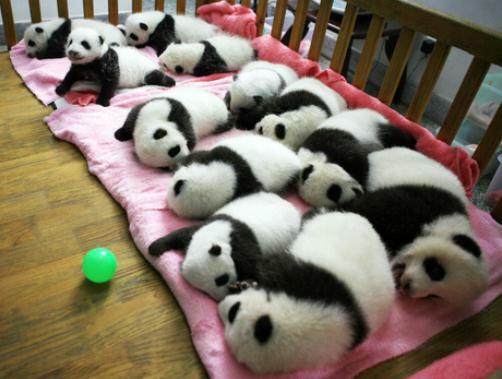 As the AP reports today, China has finished its census of humans and has now started its once-a-decade counting of pandas in the wild. The AP adds: "The official China Daily reported more than 60 trackers were trained at Wanglang National Reserve in the southwestern province of Sichuan, which is believed to have the largest number of wild pandas in China. They will collect droppings for DNA analysis, which will allow zoologists to track individual pandas and accurately estimate the population, Chen Youping, director of the reserve's administrative bureau, was quoted by Xinhua News Agency as saying." For 30 years climate scientists have been careful not to attribute any one storm (or season) to climate change. That unwillingness to connect the meteorological dots may be fading, in response to a global uptick in extreme weather. Warmer air holds more water vapor. 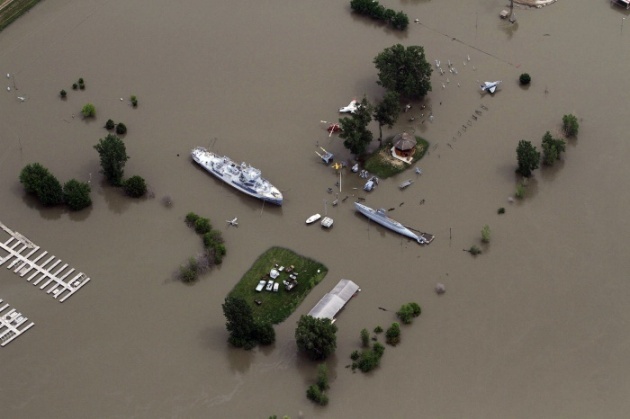 A 4% spike in atmospheric water doesn't sound like much, but it may explain the recent surge in record floods and shifting patterns resulting in more drought. 387 million people were impacted by drought the first 6 months of 2011. 200 U.S. cities broke their highest temperature records this summer. Think Barry Bonds: you can't prove that any one of Bond's 762 home runs was the result of steroids. But those alleged injections altered his "base state", increasing the odds of hitting one over the fence. 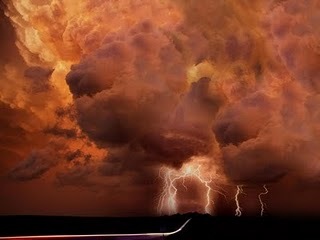 Releasing 95 million tons of greenhouse gases into the atmosphere (daily) may be spiking our storms. The experiment goes on. 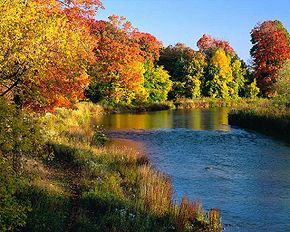 Minnesota autumns are becoming longer and milder; in spite of a mild La Nina long range models keep us in the 60s and 70s into the 3rd week of October. This week? Expect a streak of 70s and low 80s. A shower pops Friday, again Sunday - but no sign of the statewide soaking we need right now.